Simply fill in a few details at the form on the right to attend an upcoming seminar. You can make your selection from the list of venues and dates below. We update monthly so please stop back if you can’t make it this month. Thank You! Someone will follow up and confirm with you shortly. We look forward to seeing you at the next seminar. Located in the heart of downtown Stuart by the water and shops, we always bring the venue to life with our popular financial seminars that pack in a steady mix of education, fun, and impromptu comedy. Make sure you get a seat! LouRonzo’s is located at 301 S Colorado Avenue in Stuart. 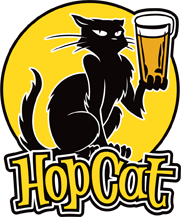 HopCat is one of the nation’s top brewpubs and offers a laid-back and hip setting for digging in and learning some new approaches to the way you accumulate wealth and invest in your financial future. The restaurant is at 10553 SW Meeting St, near the Panera Bread and across from Tradition Village Square, in Saint Lucie West. Don’t miss your chance to increase your financial knowledge with two seminars at crowd-favorite, Cooper Pub, home of The Vincent Burger! Cooper brings European style to a warm, friendly pub with food that is a destination in itself. The Terrio Group VP of the Minnesota Branch and Investment Advisor Representative Cathy Hietala presents at the December seminar, “Process Fixes Problems,” where she will elaborate on how each one of us has a different vision of what the ideal retirement lifestyle is, and covers all angles of holistic financial planning with The Terrio Group signature process. Cooper Pub is in the West End at 1607 Park Place Blvd. St. Louis Park, MN 55416.